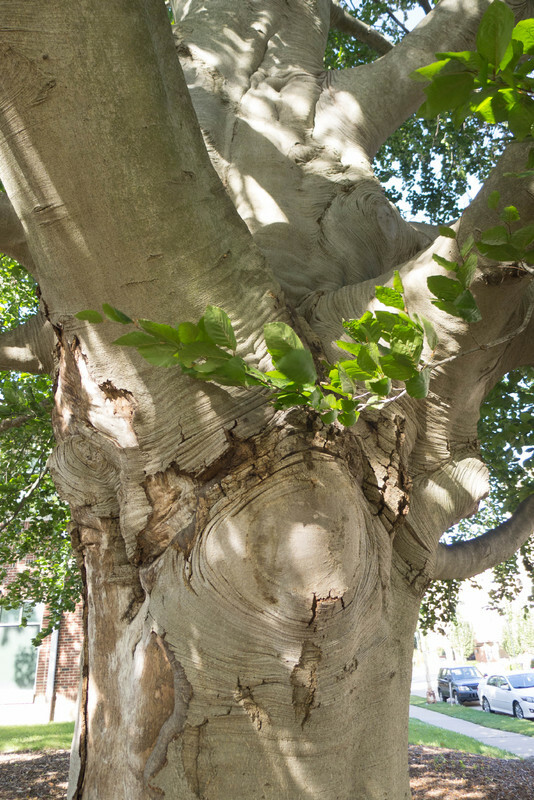 This magnificent tree has smooth, light gray bark and dense, glossy foliage. There are so many beautiful cultivars (this is the purple-leaved variety) that it is easy to find at least one to blend into any Urbana landscape. Due to the deep shade it creates, grass will not grow underneath. 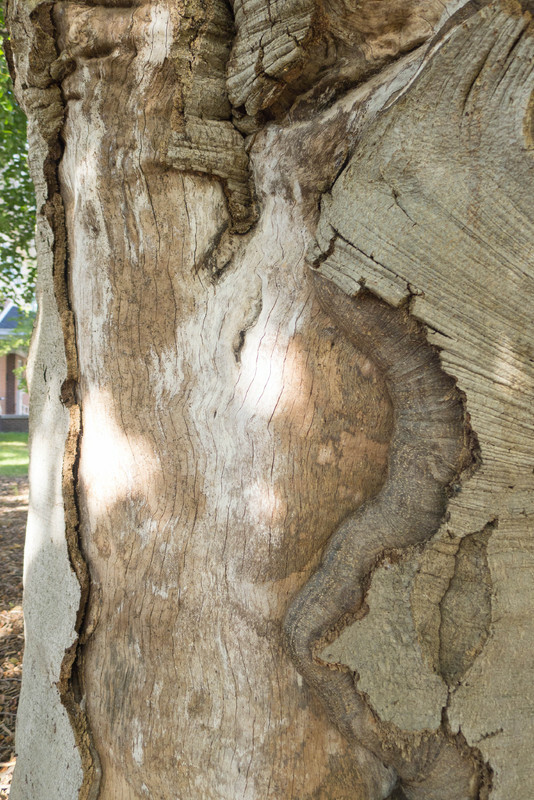 If pollinated, the tree will provide small nuts. 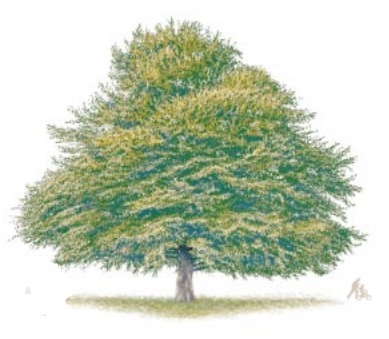 Since the European Beech can withstand heavy pruning, it makes an excellent privacy hedge. 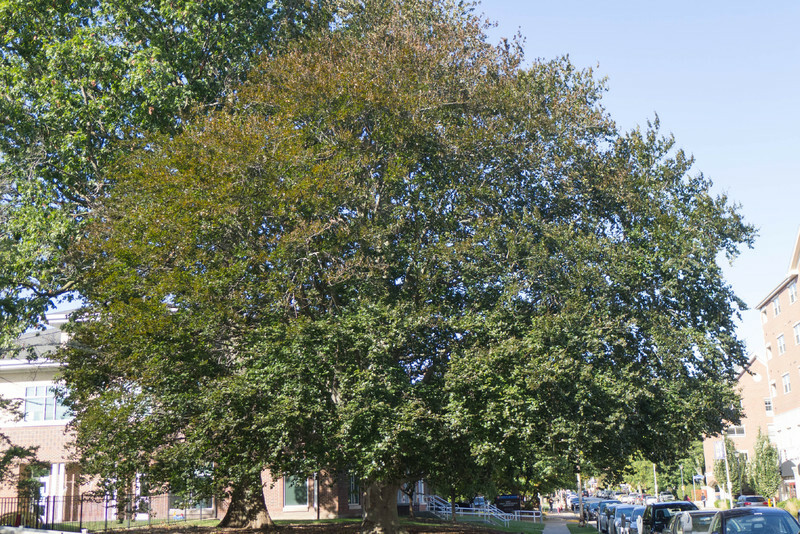 Another example of European Beech is just south of Nevada on the west side of Lincoln in the greenspace that once was the northern section of Illini Grove. 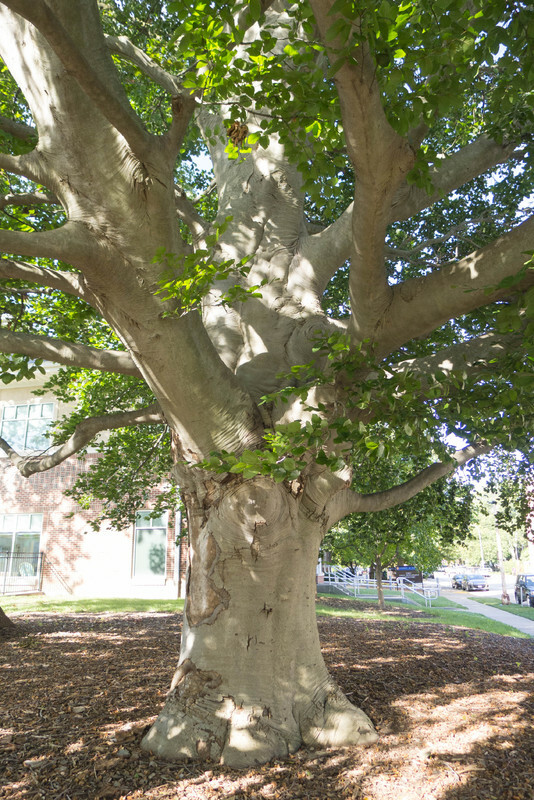 This Beech and its historic neighbors have been saved from destruction several times over the past decades with the help of concerned citizens and university staff. 1003 W. Nevada ~ Located on the east side of yard. 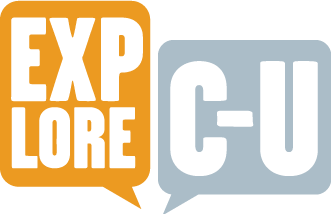 Mike Brunk, “European Beech,” ExploreCU, accessed April 21, 2019, https://explorecu.org/items/show/353.